@RTÉArchives is a very interesting twitter account to follow to learn about Ireland over the last 50 years. Last week, they tweeted about a 1995 Radharc documentary called Emigration and the Single Woman. This clip discussed the Mission of Our Lady of the Rosary for the Protection of the Irish Immigrant Girls that existed in New York City in the late 19th and early 20th centuries. The records of this organizations are digitized and available for free online. They were quietly released in March 2014, of which you can read more about in my post from when they went online. 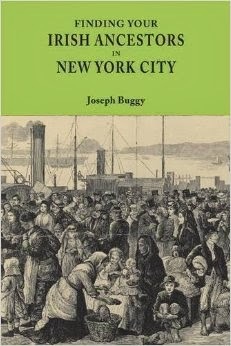 Researching in them is a must if you have female immigrants from Ireland who came to New York during that time period. Emigration and the Single Woman, from Radharc via RTÉ Archives. Click here or here to read Townland of Origin posts about how other Radharc documentaries can help with genealogy.